Updated Friday October 26, 2018 by Benoit Douillette. 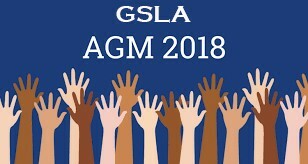 The GSLA is sending you an invitation to our 2018 Annual General Meeting. Agenda will include: review of the 2018 season, disolution of the 2018 Executive and election of the 2019 Executive. must start soon, so hoping to see a lot of new faces at the AGM.